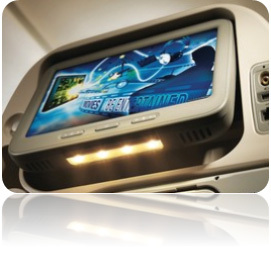 Press Releases | AZ Displays, Inc.
Readability of LCD displays in outdoor human-machine interaction is becoming an increasingly critical factor in a variety of applications. Traditional Mono LCD modules often run into the obstacle of poor readability in an outdoor ambiance due to brightness and viewing angle restrictions. 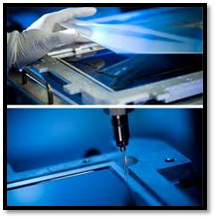 Designers must then consider TFT LCD technology to overcome these obstacles, but with the trade-off of more expensive data logic controllers and the additional time/effort required to redesign the application. 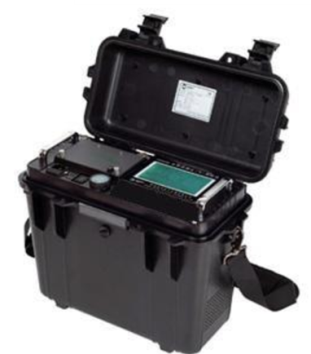 AZ Displays has recently been approached by a leading manufacturer of environmental monitoring instruments (air quality/ pollution monitoring) looking for improvement opportunities related to poor readability performance of mono LCDs in some of their outdoor products. 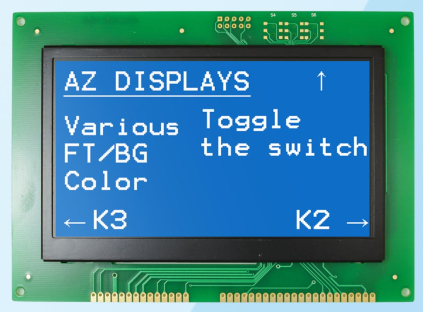 AZ Displays has developed a High Contrast Graphic Module with TFT LCD logic (3.5” and 5”), while utilizing a monochromatic LCD graphics driver. Integrated with ZETTLER’s patented driver logic technology, this HC Module can offer an easy connection and plug-in replacement for customers’ existing Mono LCD Module design while providing a much higher contrast, better viewing angles and more display color options compared to traditional Mono LCD products.